On Feb. 25, the Southwest Neighborhood Assembly (SWNA) History Task Force hosted a stirring program focused on Black History at Arena Stage. The program, arranged and emceed by Black History Subcommittee Chair Thelma D. Jones, was full of impactful moments, from the wonderful music to the powerful story told by the main speaker, Ms. Janice “Jan” Adams, President and CEO, JMA Solutions. 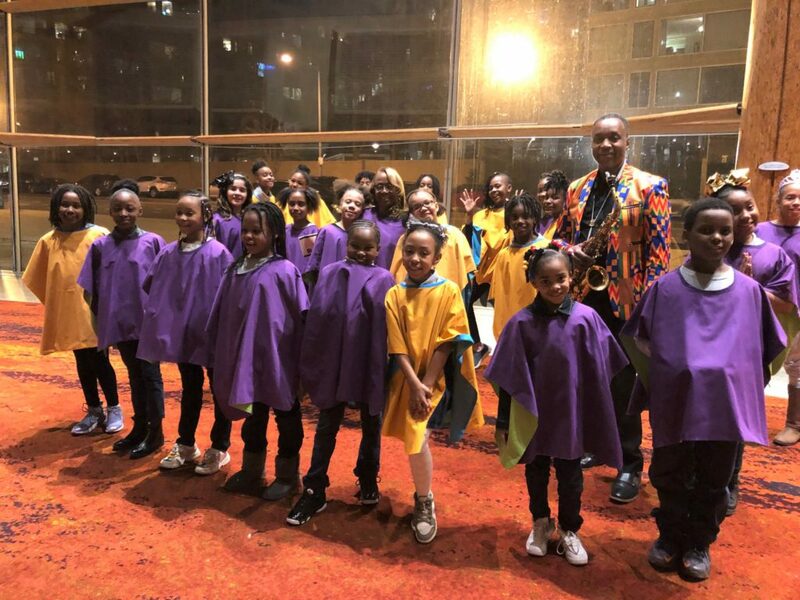 The night began with an opening performance by the Amidon-Bowen Elementary School Choir directed by Ms. Para Perry, which included a rendition of “Lift Every Voice and Sing” that set the tone for the evening. The choir then performed a few other selections before handing the stage over to Commander Morgan Kane of the First District, who generously provided her time to introduce our main speaker after giving a short update on Metropolitan Police Department activity in the neighborhood. 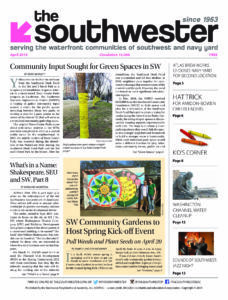 Adams is an active community leader, entrepreneur and philanthropist who has called Southwest her home since 2002. She provided the audience with the powerful story of her upbringing and background, sharing adversities that she was able to overcome early in her life, allowing her to succeed in a long career with the Air Force. This service then provided her the skills and knowledge to found a successful contracting firm, JMA Solutions, which has grown from a staff of one to one of the most successful contracting companies in the Washington Region. The company has won numerous awards and accolades since its founding, and has allowed Adams to give back generously to the community, including as an original corporate contributor to the National Museum of African-American History and Culture, among dozens of other organizations. Her inspirational story and effortless delivery were very well received by the audience, generating meaningful engagement. Adams was followed by a rousing performance by Benjamin Sands, performer and veteran music teacher at Calvin Coolidge High School. Mr. Sands was raised in Southwest, was one of the earliest scholarship recipients from the SWNA Education and Scholarship Task Force, and still has the first saxophone he purchased thanks to that scholarship. Mr. Sands, accompanied by David Marsh, shared several tunes and stories of his career, including the importance of that early support he received from the community. The night ended with an update from Pepco regarding their Capitol Grid Project, which is a major initiative to update and strengthen the electrical grid in DC. This project will have a major impact on Southwest, as one of the main components will be run through the neighborhood. For more information, visit www.pepco.com/capitalgrid. Pepco also supplied refreshments for the evening and made themselves available to answer questions from the community members. This was a successful and well-attended community meeting and the SWNA History Task Force members would like to thank all the participants for their time and talents.